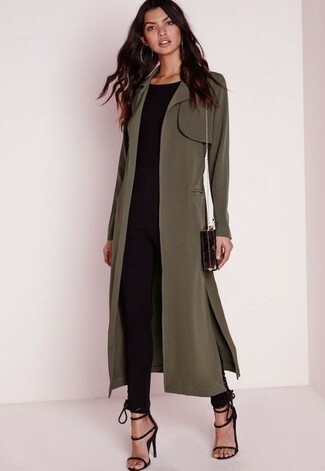 For a smart casual ensemble, try teaming an olive trenchcoat with a silver pencil skirt — these pieces the place of work pretty good together. Black leather ankle boots work spectacularly well with this outfit. 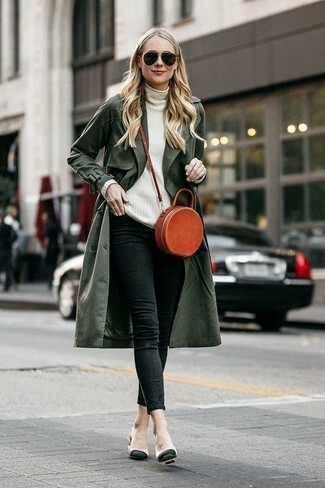 If you're looking for a casual yet stylish outfit, try pairing a Chloé gabardine and wool med twill trench coat with black ripped skinny jeans. These garments are totally comfy and look wonderful when worn together. For something more on the daring side to finish off this outfit, opt for a pair of black and white high top sneakers. 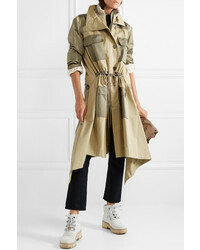 For a look that's super straightforward but can be flaunted in plenty of different ways, make a Chloé Gabardine And Wool Med Twill Trench Coat and charcoal boyfriend jeans your outfit choice. Black leather platform loafers will bring an added dose of style to an otherwise standard ensemble. For a casual totaly chic outfit, marry a Chloé gabardine and wool med twill trench coat with white and black houndstooth dress pants — these pieces fit nicely together. When it comes to shoes, this getup is round off perfectly with black cutout leather ankle boots. 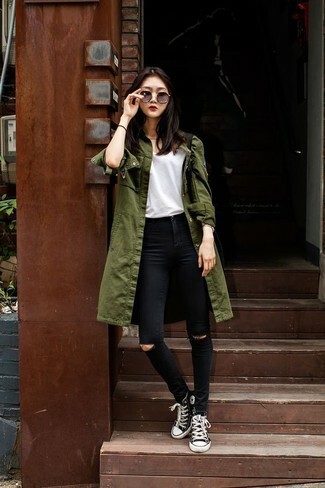 An olive trenchcoat and charcoal jeans make for the ultimate cool-girl's casual getup. Take your getup in a sportier direction by sporting a pair of black leather flat sandals. 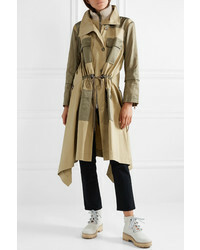 Why not go for a Chloé Gabardine And Wool Med Twill Trench Coat from NET-A-PORTER.COM and black skinny jeans? As well as very comfortable, these items look amazing worn together. Introduce beige leather pumps to this outfit et voila, your getup is complete. 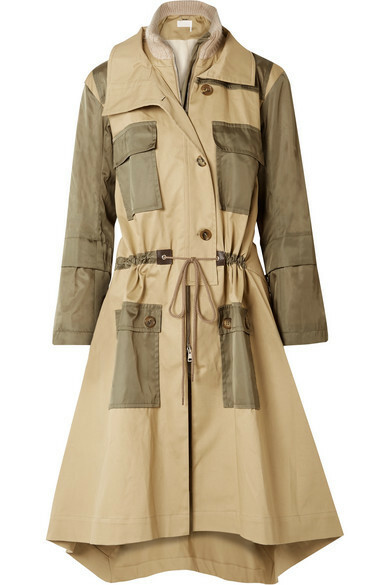 If you're after a casual yet incredibly stylish ensemble, wear an olive trenchcoat with a white midi dress. As well as very comfy, both of these pieces look great when worn together. Finish off with white leather ankle boots and off you go looking gorgeous. If you're in search of a casual yet totaly chic ensemble, go for a Chloé gabardine and wool med twill trench coat and a black lace midi dress. As well as totally comfortable, these items look great when worn together. Black leather pumps work spectacularly well with this outfit. So as you can see, looking incredibly stylish doesn't require that much effort. 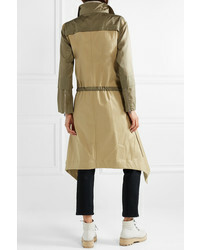 Just opt for an olive trenchcoat and black skinny pants and be sure you'll look awesome. Introduce black suede heeled sandals to this ensemble for extra fashion points.